The railroad track shot is uncool and dead. I challenge you to bury it. It wasn’t very long after the first rail was hammered into the earth, when a photographer spotted the metaphor. Since then, tracks have been dramatized in billions of photos, artwork, commercials, and movies. Add the popularity and ease of entry into photography, over-posting to social media, and less creativity; railroad track shots have become a worn-out cliche’. In the United States, it is ILLEGAL to shoot on them and near them. You are guilty of TRESPASSING on private property. When you snap a photo, you’re providing the evidence. Law enforcement thanks you. Hold on. This is where those who don’t get it will react. It will be rapid revolt, denial of facts or simple apathy. I’m okay if you stop reading because I won’t change your mind anyway. To the others, please continue. I am a professional Location Scout for commercials, movies, and commercial photography. I worked on a movie which involved a scene on the track and on a national commercial for a railroad company. On both of the projects, proper protocol was in play (permission asked and granted, safety meetings held, railroad company personnel were present while shooting, proper PPE worn, etc.). These steps are a professional, legal, and safe process. Often, I am asked – “Do we need permission to shoot at location X versus shoot without asking?” I simply reply: Would you be okay if a photo or film crew shot on your property (front lawn, backyard, dining room, or any of the land you own) or perhaps your place of business – without asking? SAFETY. You can get hit by a train easier then you think but most human beings are injured (almost daily) by being around tracks. They slip off the rail (which you should NEVER EVER be on) or fall against the steel or loose it off a bridge or are hurt in many other ways. Some of those people die. Photo galleries of your local hobbyist-turned-photographer are cringeworthy! Teens, families, and babies are draped across active railroad tracks. By the way, does child protection services know about these people? And if you are a Liker who thinks it’s ‘cute’ or ‘awesome’ – you’re an enabler. By the way, it doesn’t matter if the line is “dead” or that you’re shooting from the break in the track. The viewer of the photo doesn’t know that… It is the PERCEPTION – you are promoting it as okay. Ironically, it’s still illegal. Honestly, I too have taken railroad photographs. But a few years ago, when more photographers began to appear (including way too many amateurs) a change in thinking came to me. I began to feel odd, guilty, and trite when looking at the railroad shot. I began to say NO to clients that asked. Sarah Jones was a young camera assistant and an indirect colleague, ordered to follow trespassers – to “steal a shot.” After I cried, with everybody else who cared, I grew angry at how standard procedures were not followed. I was embarrassed at the black mark the horrible tragedy placed on true professionals in the industry that get it and are safe – all the time. 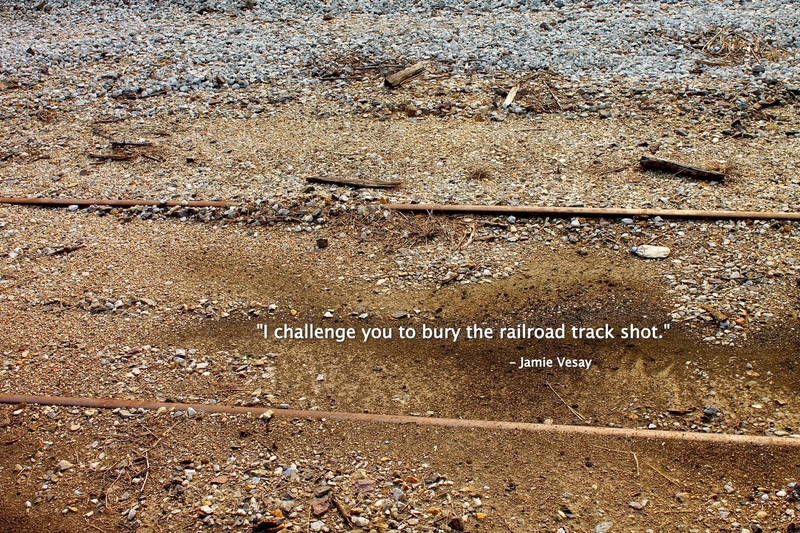 If you call yourself a professional filmmaker or photographer, I challenge you to bury the railroad track shot. STOP putting people in unsafe and illegal positions. Think harder. Find an alternative location. To those who don’t care about breaking the law or putting themselves and their subjects in harm’s way, I am pleading to you – to STOP. If you’re a hobbyist or enjoy posting the next photo to social media – PLEASE DON’T. Be smart. Be safe. Have fun and live. 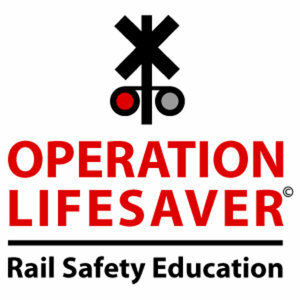 Want more information or prefer to get involved with Railroad Safety? Engage with Operation Lifesaver. See offenders? Report them to local law enforcement or the railroad police (yes, there’s such a thing). Are you at the early stages of your film or photo career? Read my Open Letter to you about being safe and not being afraid to say NO. Content COPYRIGHT Jamie Vesay ANY USE requires permission.